There are many restaurants and pizzerias in Milan, but often the choice of dishes is not broad and balanced, leaving the clients with an unsatisfactory offer. 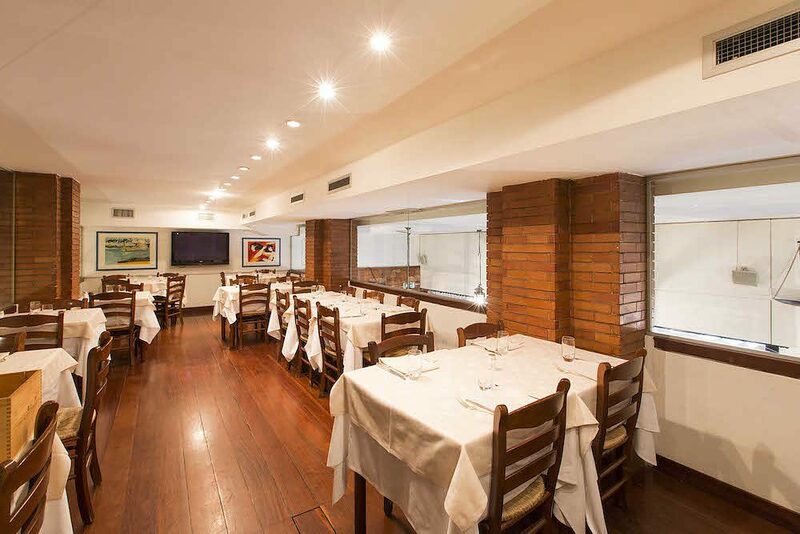 Our goal is to welcome you in an establishment that is at the same time the best restaurant and the best pizzeria. Let’s find out how! Le Specialità: a true restaurant and pizzeria! The Restaurant and Pizzeria Le Specialità has existed for over 40 years and is located in Via Pietro Calvi 29, just a short walk from the Duomo. We are open every day all year round, for lunch and dinner and we are can also satisfy the needs of our celiac and gluten-intolerant guests! The motto of our chefs and pizza makers has always been to please the customer in every way. For us, your every need is paramount. For this reason, we have made sure that almost all the dishes of our menu have a gluten-free variant. Taking a look at the Menu and to the premises of our restaurant and pizzeria in Milan, you will realise the pleasant atmosphere and the ability of our Menu to satisfy every palate: whether you love meat, fish or pizza, the only difficulty will be to choose! Le Specialità: meat and fish prepared in all possible ways! 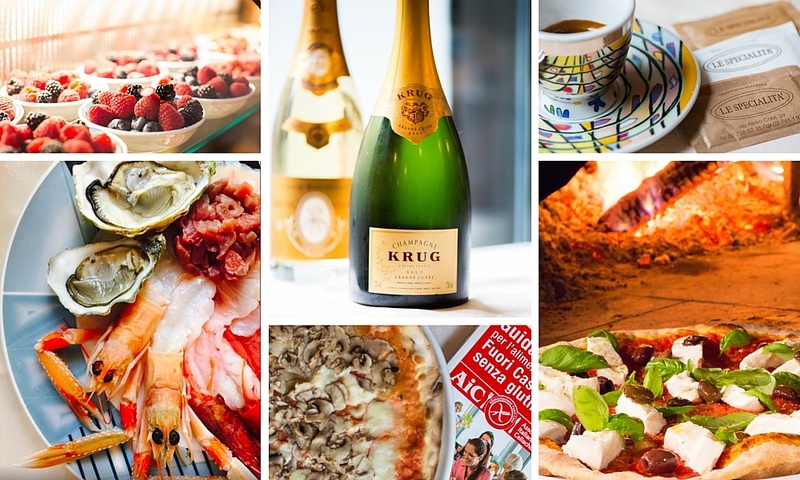 Since 1977, our establishment welcomes its guests offering a selection of Italian classics and their reinterpretations, always respecting the tradition and searching for the highest quality ingredients. The premises of our restaurant, with their simple and welcoming atmosphere, are a perfect place for business lunches and dinners with family or friends, where you will be looked after by experienced and friendly staff following tradition, innovation and hospitality. Meat appetisers like venison ham, Patanegra and culatello. Seafood appetisers including fish carpaccio and seafood salads. Pasta dishes with seafood or meat, made from fresh, homemade pasta or pasta from Gragnano. The freshest fish and seafood: from the classic oven-baked bream to Sicilian red prawns. Tuscan meat fillets, from the Brunello di Montalcino to the Fiorentina. And let’s not forget such delicacies as the cod from Bilbao or the truffles from Alba! We have also designed special tasting menus, which will allow you to enjoy the best of our proposals! 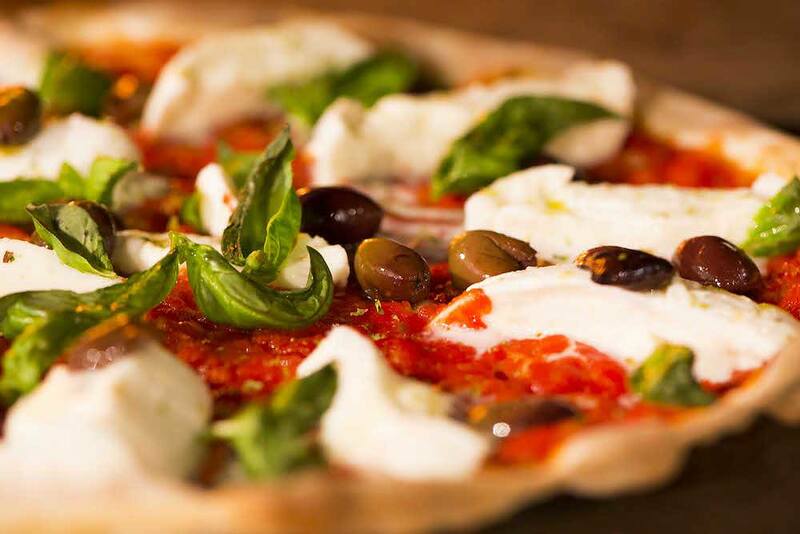 Le Specialità: you can choose from more than 50 different pizzas! If you are thinking that, with all this variety of meat and fish dishes, it is impossible to also have a long list of pizzas, you are very wrong! We are famous all over Milan for our pizzas, from the most classic to the most fanciful, cooked in a wood oven with a dough that we have specially developed. Margherita: tomato sauce, buffalo mozzarella and basil. Napoli: tomato sauce, buffalo mozzarella, anchovies and oregano. Profumata: tomato sauce, fresh cherry tomatoes, buffalo mozzarella, basil and a hint of garlic. Mediterranea: tomato sauce, buffalo mozzarella, garlic, anchovies, capers, basil and oregano. For those who want to try them all, we offer our pizza “Pout-pourri”, which contains all four flavours. Pizza with Gorgonzola, with buffalo mozzarella and gorgonzola cheese. Arrabbiata, with hot sauce, tomato sauce, buffalo mozzarella, onion, pesto, pine nuts and chilli. Tuna and onion pizza, with tomato sauce, buffalo mozzarella, tuna and fresh Tropean onions. Pesto Pizza, with buffalo mozzarella and pesto alla Genovese. Zingara, with fresh cherry tomatoes, buffalo mozzarella, pepperoni, olives, caper flowers and oregano. Pizza Le Specialità, with tomato sauce, buffalo mozzarella, cheese fondue and mushrooms or fresh artichokes. We didn’t forget the fish lovers, who can enjoy our Pizza del Pescatore, made with tomato sauce, big scampi, king prawns, calamari, mussels and clams. These are just a few examples of the dishes offered in our establishment and we assure you that there are many more! If you are looking for a restaurant and pizzeria in Milan, come visit us: we are open every day, all year round, for lunch and dinner!